I shot this from the beach in Waikiki, I just wished I had a tripod and more time and money to spend their because the sunsets are spectacular. 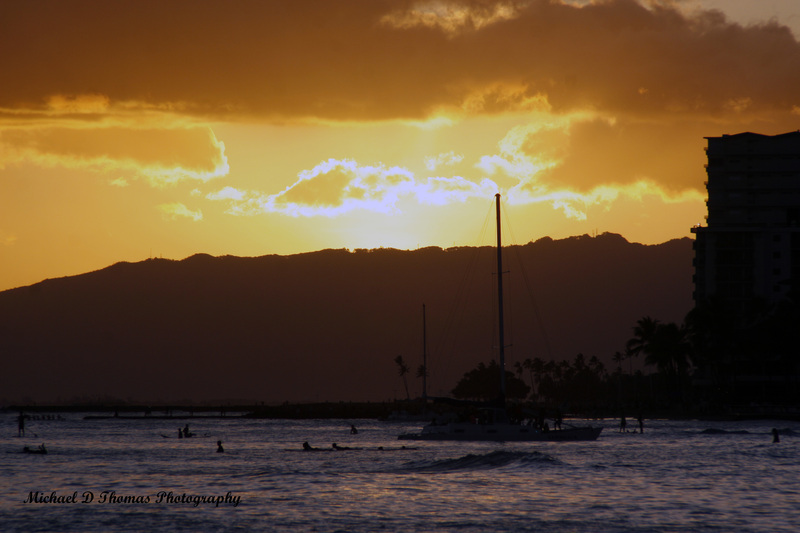 This entry was posted in Photography and tagged Hawaii, Inspiration, Photography, Quotes, thoughts, Waikiki, wisdom. Bookmark the permalink. Wow Michael.. this photo just put my mind at ease. I had a lot going on and in 1 second I was relaxed. Thank you my friend. Your welcome and I hope your move is going well!